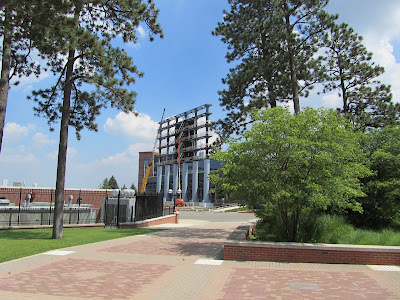 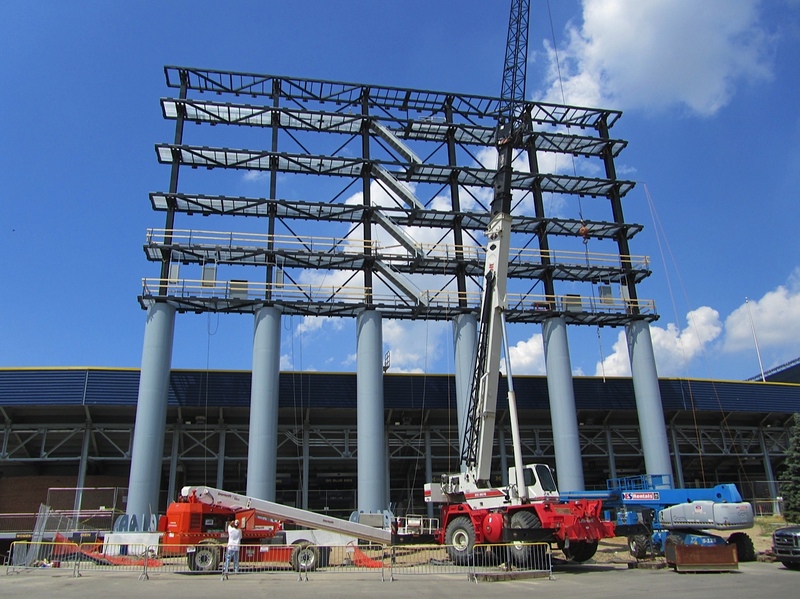 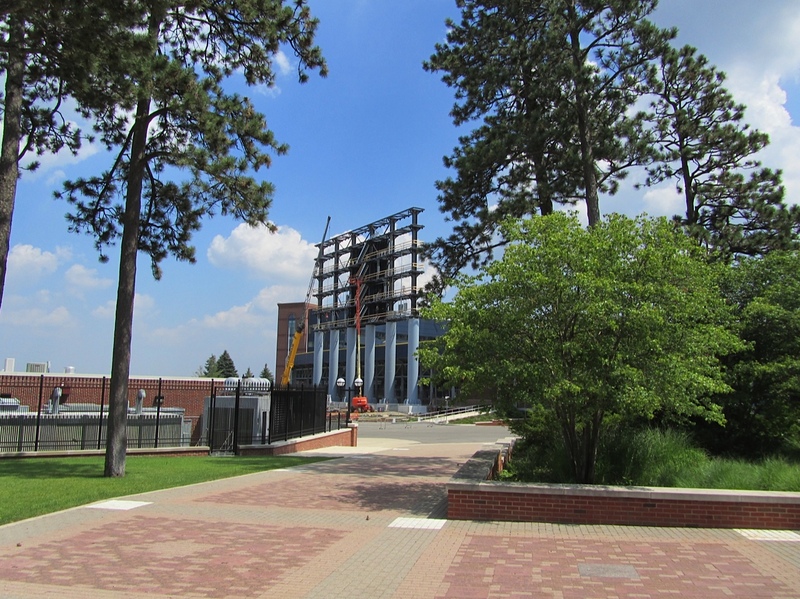 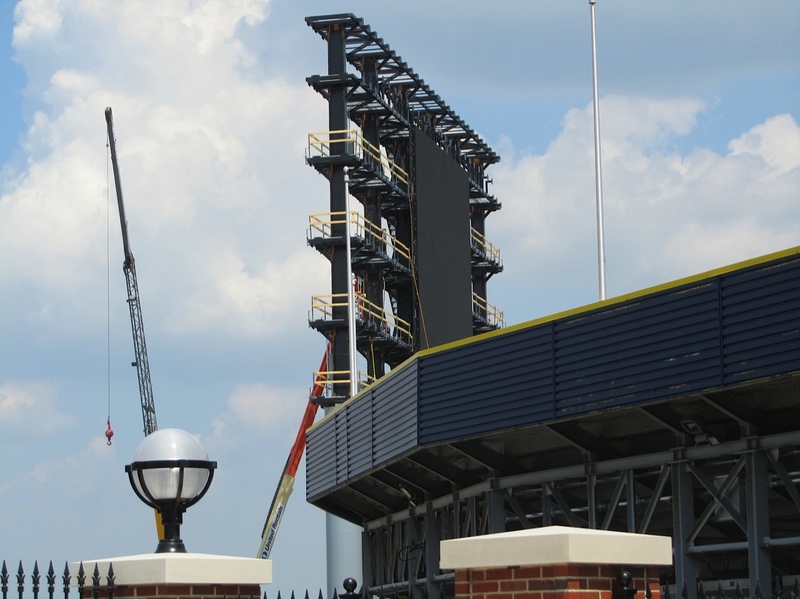 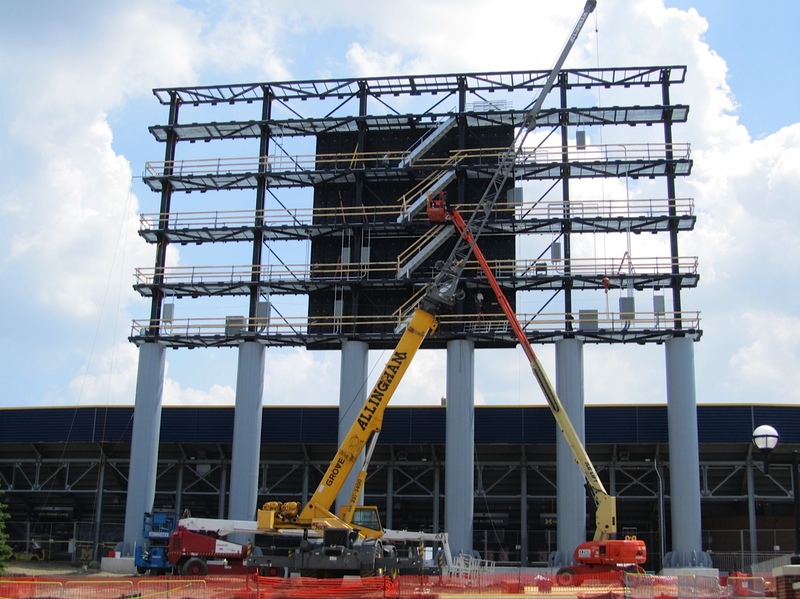 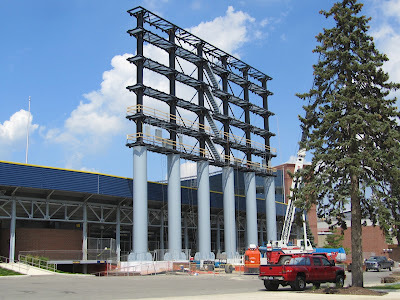 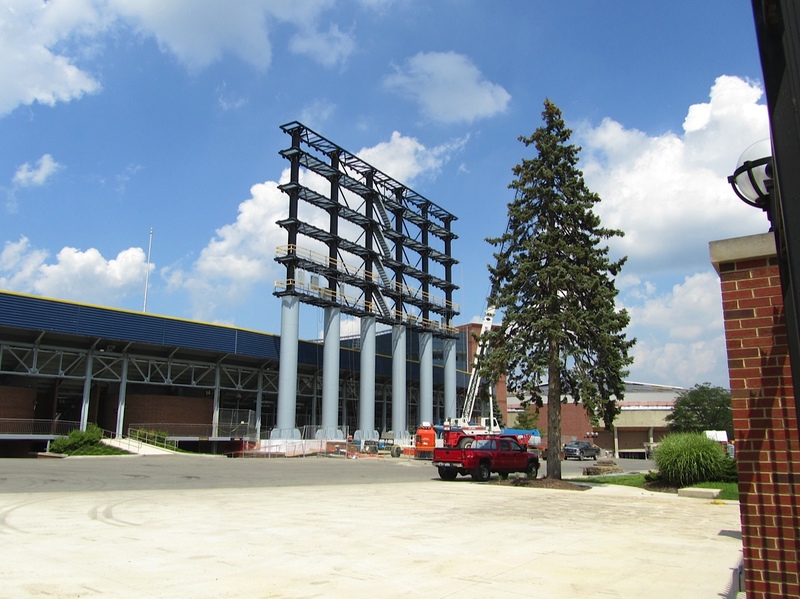 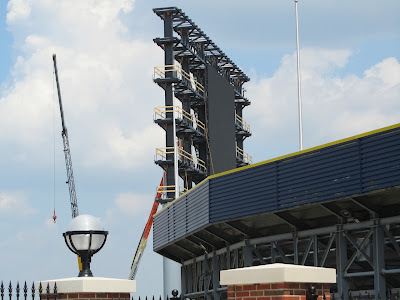 MBN reader and dear friend "Silky P", who just happens to live within shouting distance to the Big House, sent over these photos taken yesterday of the scoreboard construction. 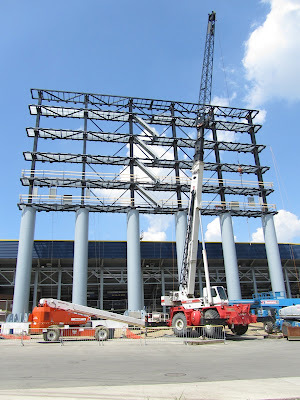 You can check out the construction webcam here, but I think these photos really give a good representation of the scale of the new boards. 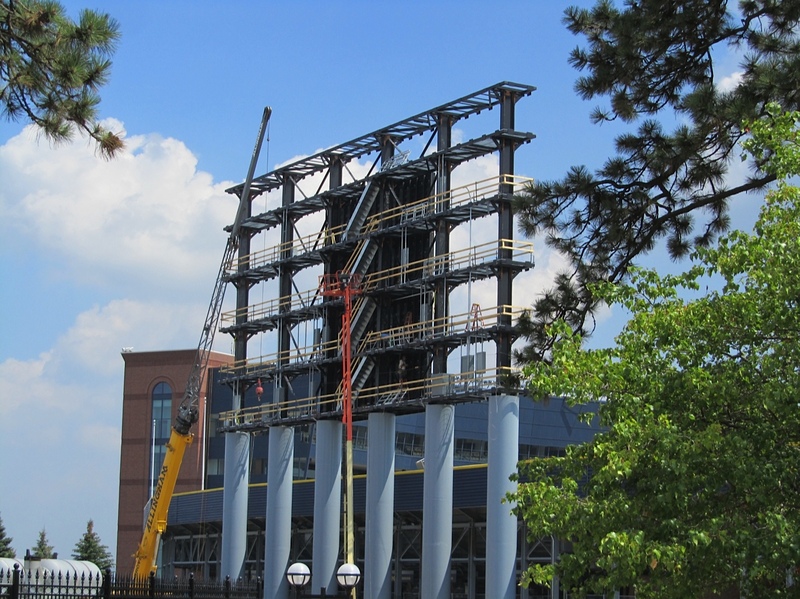 As do the staircases that will be enclosed inside the structure once it's finished. 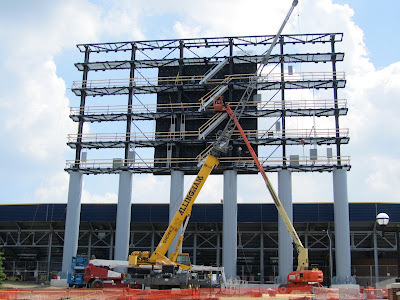 Those photo's are very good.